The Cleave | Bywhe Renewables Ltd. 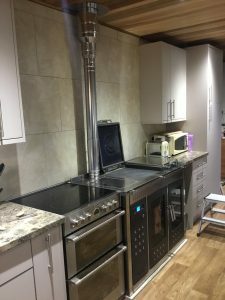 This customer was renovating their kitchen and wanted to have a Klover Smart 120 at the heart of it. 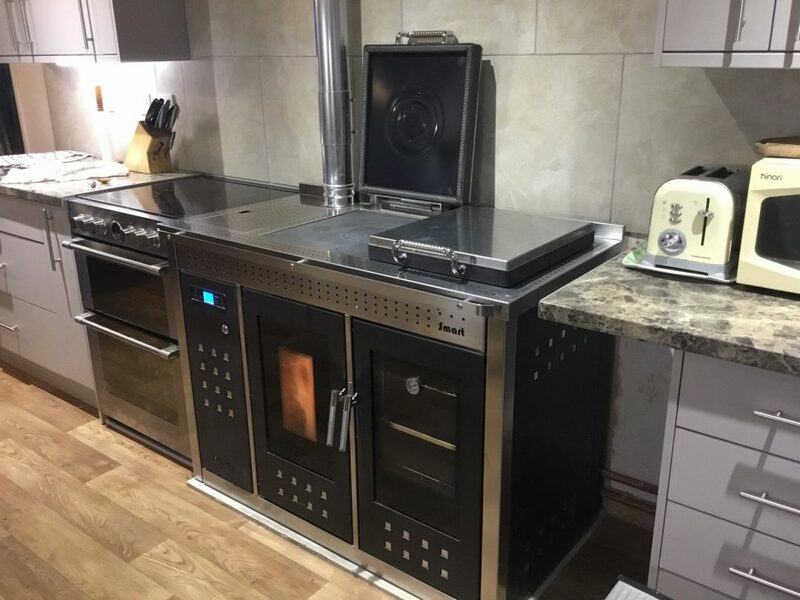 We helped bring the customers idea to life, by adding the Smart 120 to the kitchen as well as supplying our electrical services to fit all their power-points and lights into the room. Further to this we also added a Solar Thermal system onto their roof, allowing them to make the most of the beautiful weather and their location. 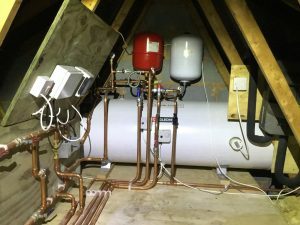 The hot water cylinder was placed into the loft so that it was out of the way and not taking up any of the precious ground space within the building.